Delhi Metro, Metro Rail News: Solar energy would add power to all stations of Noida-Greater Noida Metro Rail corridor’s Aqua Line that would be operational soon, the Noida Metro Rail Corporation (NMRC) said in a statement on November 12, as reported by PTI. The NMRC entered into an agreement with a private firm on Monday for the solar energy project of the Aqua Line which would run between Sector 71 station in Noida and the Depot Station in Greater Noida, covering 29.7 km through 21 stations, it said. Solar panels will be installed on the roofs of all the 21 stations of the Noida-Greater Noida Metro rail corridor. These panels will also be installed in the parking areas and boundary walls of the metro stations. A total of 10 MW power would be generated by the solar panels which would be used at the metro stations, the depot and in the parking areas, it said. The NMRC would be charged at Rs 3.25 per unit for the power, which, it claimed, is the “lowest tariff” for any metro rail service using solar power. 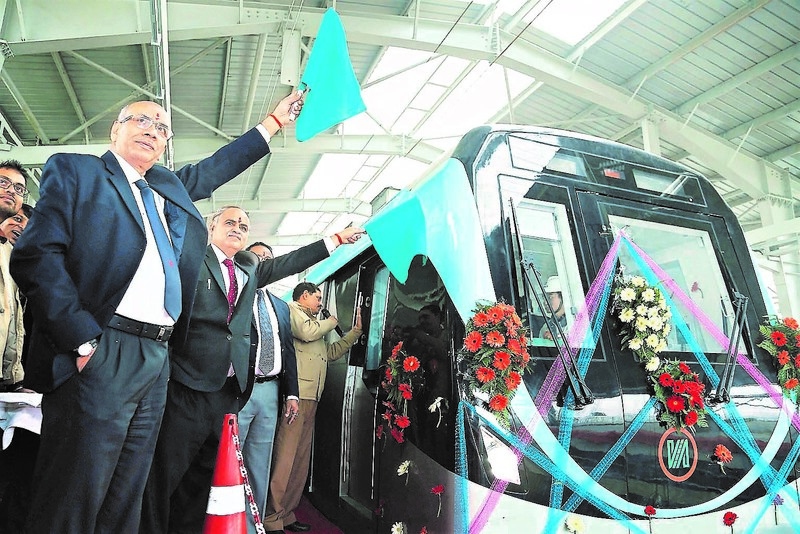 The private partner, Sukhbir Agro Energy Limited, was selected after a tender was floated for the purpose by the Delhi Metro Rail Corporation, which is assisting the NMRC on the Aqua Line. “A power purchase agreement was signed between the NMRC and Messrs Sukhbir Agro Energy Limited. Manoj Vajpayee, the general manager (technical), signed the agreement for NMRC while Sumit Sood signed the contract for the Delhi-based firm,” according to the statement. The agreement has been signed for 10 years. During this period the company would install the infrastructure and provide power to all NMRC-operated metro stations. The infrastructure work on the Aqua Line, whose construction started in May, 2015, has been completed and is currently under inspection by the commissioner of Metro Rail Safety (CMRS).